As designers, we create a space that is unique to every client. I work with each client to meet their unique style and needs. My design style has been described as “comfortable elegance”. I design spaces that create calm, happy environments. I listen carefully to the needs, wants and budgets of my clients. With my expertise I help guide them to a tailored plan that is all their own. Along the way, they are given choices to inspire them and make their vision come true. The services I provide include full concept design and execution. I look forward to talking with you and making your dream desires become a reality! Barbara Miller, ASID founded YES Spaces® based on her original design philosophy that draws from her professional experience, educational research, and real life experience as the mom of five. Barbara brings a fresh perspective to the home furnishings industry. 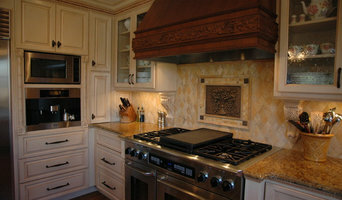 Her goal is to bring quality, custom-tailored design solutions into every family home. 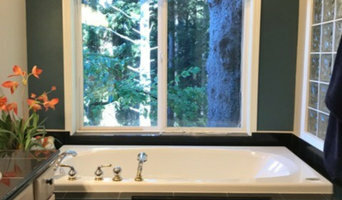 Barbara is an expert designer and remodeler at the Neil Kelly Co in Portland, Oregon where she helps clients through the design build process to create the home of their dreams. YES Spaces is where Barbara shares design advice, writing for national publications, solving design dilemmas and providing DIY ideas and resources. Whether through her award-winning blog or her successful Youtube series Mess to YES®, Barbara strives to make elegant design achievable for everyone. Her most recent book, Researching Home: Evidence-Based Residential Design, seeks to improve family homes by providing designers and consumers with the tools they need to make smart decisions. A good home design professional will hone your style down to its very essence and be able to choose a functional layout that feels natural to you. Interior design companies can be involved as much or as little as the client desires. Many clients who hire an interior decorator in Oak Grove, OR — particularly those who are remodeling — have a good sense of how the room should look and what products they should use. Often clients will insist that interior decorators use the products already present in the house. Other times a designer will need to start from scratch — especially if this is a newly purchased or just-built home. An interior design company will need to figure out exactly what the client needs, which includes organizing rooms, picking flooring and wall colors, and finding furniture to complement it all. Sometimes that means he or she will have to recruit help from other Oak Grove, OR home professionals to help create the perfect look for your renovation. Here are some related professionals and vendors to complement the work of interior designers & decorators: Architects & Building Designers, General Contractors, Home Builders, Design-Build Firms, Photographers. 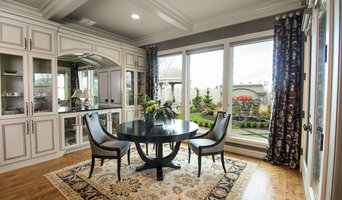 Do your research before meeting with an interior designer or home decorator in Oak Grove, OR. Ask yourself what you want your space to become and what it will be used for. Figure out the extent of what you need help with, what your must-haves are and what your budget is. Interior design services can add up fast, so be up front with a potential design firm or individual from the beginning. Also, pick an interior decorator that fits your style. Browse through the portfolios of different Oak Grove interior design firms and decide if you would live in those houses. Just because you like something doesn’t mean you could live in it. There's a big difference! 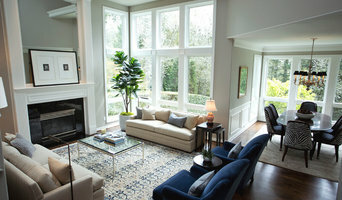 Find an interior designer or home decorator in Oak Grove, OR on Houzz. 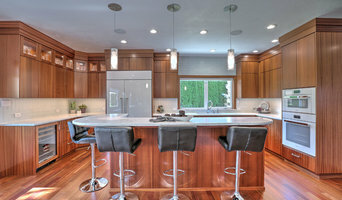 Narrow your search in the Professionals section to find Oak Grove interior designers near you. You can also look through Oak Grove, OR photos to find a room you like, then contact the design firm who designed it.